Lida capsules at a super reduced wholesale price! If you want to buy Lida capsules in bulk, please contact us. Slimming capsules LiDa - is the next generation tool for weight loss, is extremely popular in America and Southeast Asia. The capsules are a natural ecological product, initially considered to be one of the best systems for weight loss and weight loss. Unlike most drugs for weight loss LiDa Capsules do not have a laxative effect. With this preparation, you can naturally easily and naturally lose weight. It reduces appetite and eliminates the feeling of hunger, creating a feeling of satiety. There is no relapse after discontinuation of completeness (boomerang effect). It does not violate the physiological processes in the body (not a laxative). It does not contain synthetic chemical ingredients. It does not contain hormones, genetically modified organisms (GMO), the larvae. Non-toxic, does not cause side effects. It does not cause addiction (addiction). Made using a new high-tech research. L-carnitin (carnitine) 4% - this is the main fat burner of the body and the most important component in the process of dropping weight. Radically reduces the reserves of subcutaneous fat, normalize lipid balance in the liver cells, increases the overall tone. Usage: Take one capsule a day for half an hour before breakfast. During the reception, try to drink as much liquid as possible. The course is 30 days. Weight loss of 5-12 kg. If you want to allow the repetition rate for the second and subsequent months. In this case, it is recommended to drink 1 capsule every other day. Followed by semi-break, and after that - again, you can start a new course of receiving the drug. Contraindications: not recommended for children under 18 and persons over 65 years of age, people with various health problems, as well as be used in combination with other drugs. It is forbidden to consume alcoholic and carbonated beverages, coffee. 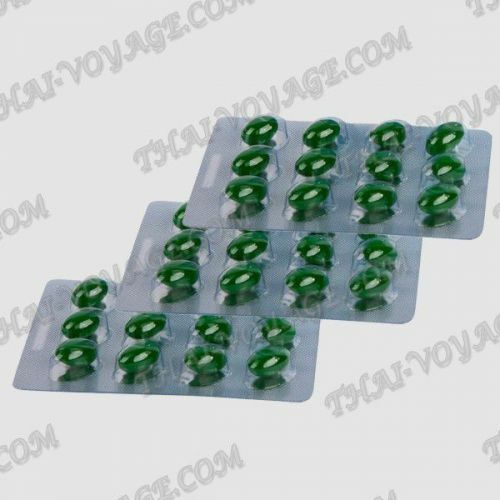 It is forbidden to take the Lead capsule pregnant women, nursing mothers, people with heart problems, high blood pressure, as well as gastric ulcer and gastritis. The package of 36 capsules. The last 6 capsules - stabilization. After completion of the course (1 month) to take the remaining capsules in 1 piece in two days.